"HATZIC LAKE - EVERGLADES RESORT. Nice lovely spot at the lake, very private with decks and patio nicely done with paving stones. 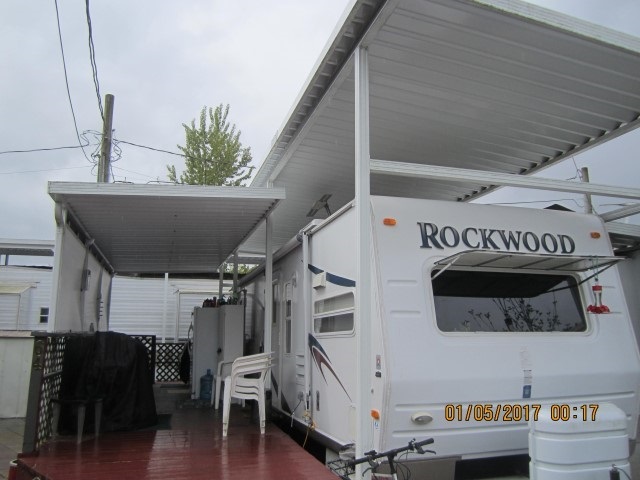 Includes a Rockwood trailer, 37 ft unit covered with an amazing aluminium awning for rain or shin. Come and enjoy the lake this summer. Across from the park. Gated resort has it's own boat launch, parks, clubhouse and swimming area. Approximately just over an hour from Vancouver - why book a site? Own your own getaway!"